Today is World Teacher’s Day – a good occasion for us to highlight the important role all teachers play in helping bring quality education to children including refugees. In Iran we’re working closely with teachers who work with the Literacy Movement Organization (LMO) to run classes for those who’ve been left behind from school, helping them catch up so they can sit in classes appropriate to their age. 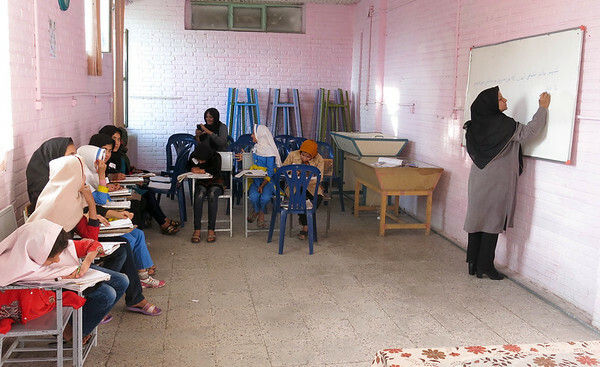 These teachers bring in their passion, traveling long commutes, putting in time after a long day working at the main schools, to run these classes after-hours for Afghan refugee children. The classes are mostly in informal settings, helping the children to be more self-confident and to gradually get used to sitting in classes. Thanks to support from European Commission – Civil Protection & Humanitarian Aid Operations – ECHO and Iran’s Bureau for Aliens and Foreign Immigrants’ Affairs we’ve been able to help --------- children enjoy learning from these LMO teachers.